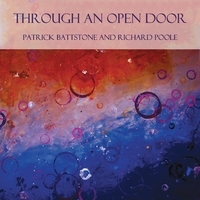 This is actually the first musical meeting between pianist Pat Battstone and vibe-player/percussionist/multi-instrumentalist Richard Poole; it is a refreshing breath of fresh air in improvising and it takes you on a journey into mind images. You can close your eyes and see with your inner eye a host of visionary adventures. You can PURCHASE this CD direct from Patrick Battstone – SUPPORT the ARTIST with direct purchase!! !